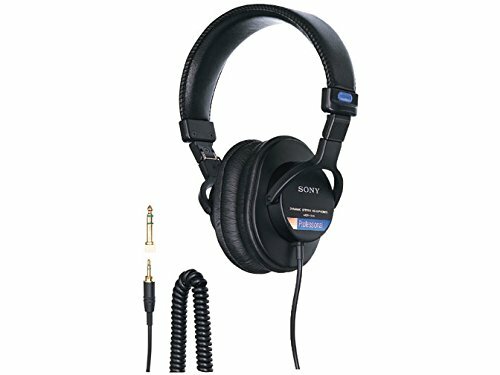 Looking for awesome DJ headphone reviews that take into account comfort, durability and sound quality? Well… you’re at the right place. It took us quite a while to research and test these headphones but we’ve come up with a list of the 10 best DJ headphones being sold and also reviewed the top 5 in detail. Once you’re done with this article, you should have all the info you need to make an informed decision. Most of the focus is placed on the technology, size and they type of headphones while factoring in features such as comfort, bass, weight, open or closed back, portability and durability. It can be tricky choosing a pair of headphones to suit the specific needs and requirements for a DJ. With the plethora of choices available to you, which do you choose? There are so many different styles, models, designs and specifications. So, use the criteria below to narrow down your decision. If you look out for these specific points, you’ll be able to separate the wheat from the chaff and buy a DJ headphone that’s good for you. Type. The main consideration here is if you’ll be choosing open-back or closed-back headphones. With open-back headphones, you’ll have a much larger soundscape. However, there is sound leakage but that doesn’t really matter when you’re DJing at a loud club. Nobody is going to be annoyed at the sound coming out of your headphones. With closed-back headphones, the sound is contained within the headphones. That makes these headphones ideal for use in public areas. You won’t have to worry about disturbing anyone. Another consideration will be whether you wish to get over the ear headphones or on top of the ear headphones. Most DJ Headphones are usually over the ear because it’s more professional and you’ll be able to block out the outside sounds from distracting you. Size. 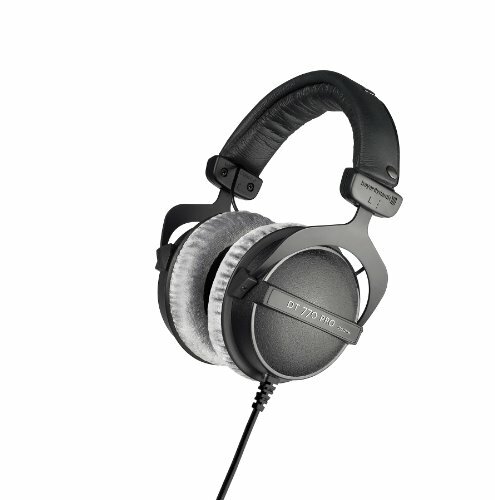 While over the ear headphones are ideal for DJs, their size can be intimidating. If all you’ve ever been using are earbuds, it can feel strange and daunting to use professional headphones. So, pick a size that suits your head and feels comfortable. It should fit securely and snugly without being too tight. Technology. Of course, the better the technology and features incorporated into the headphones, the better it will sound. The headphones you buy should also be suitable for the music you’ll be playing. Some headphone reproduce sounds more suitable for classical music whereas some are made for bass heavy rap and hip hop music. If the music you’re playing is heavy in bass, get headphones that meet this requirement. This name keeps popping up on so many of our review lists that it’s almost unbelievable. They’re that good. The ATH-M50s is widely regarded as one of the best headphones on the market. They aren’t just good for DJs but anybody can use them. The design is sturdy and just by feeling the cans, you’ll know that these are very durable headphones that are collapsible too. 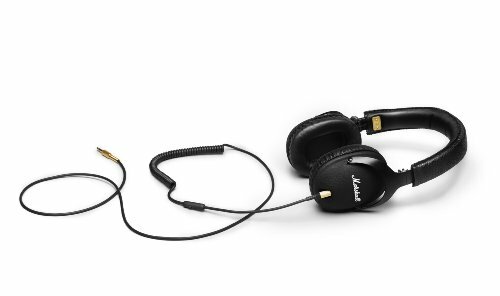 These are closed-back headphones and actually more versatile than most open-back headphones. The sound quality is awesome. It’s balanced, detailed, has a tight bass and the sound has remarkable depth for a closed-back unit. The ear pads are comfy and soft and are capable of swiveling 180 º. That makes for superior comfort and convenience. Want to hang the headphones around your neck? No worries. Instead of bulging out, the ear pads will rest flat on your chest because of their ability to swivel. Even audiophiles will be able to appreciate the quality of the sound reproduction. You can easily carry them around since the collapsible design makes them portable. If you’re a DJ running from one gig to another, this feature will be very useful to you. 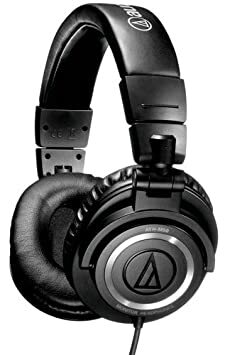 The Audio-Technica ATH-M50 is not the cheapest model out there but it is an excellent investment. Even if you need to save up for it, do it and buy it. It is excellent value for money and the impressive features will mean that you never regret your decision. Coming in a close second, the AKG is another reliable brand and their headphones rank in several of our top 10 lists too. The K712s perform the best when compared to the other AKG models. Unlike the Audio Technica model, the AKG 712 Pro is an open-backed headphone. Whether or not you choose this model will be based on your own preferences. But if you want a large, airy soundscape, these headphones do a great job. The sound reproduction is crystal clear and the bass is smooth. It recreates a feeling like you’re at an orchestra or a live concert. DJs who do a lot of mixing will appreciate the accurate monitoring capability of this headphone. The frequency response is flat and super extended and the wide soundstage that has pinpoint localization will mean that your spinning is accurate and your job becomes much easier. With these headphones, your recordings will sound great and you will not have as much difficulty as you would if you got an inferior pair of headphones. If you work for extended periods as a DJ, these headphones will be a dream come true because the memory foam ear pads are so comfy that you’ll forget that you’re wearing them. These earphones are a little bit large and if you have a narrow head, it can feel loose or too big for you. So, be aware of this little fact. If you’re looking for DJ headphones that provide accuracy, precision an exceptional neutral sound that has a wide range and is able to bring out both the bass and trebles, the AKG K712 is ideal for you. 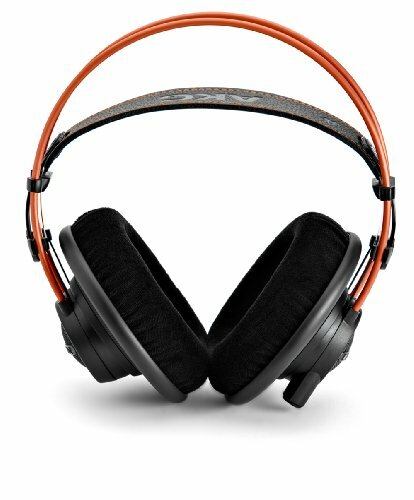 Another winner from Sony… the MDR7506 are the choice for many professional DJs because of their ability to block out ambient noise. The closed-back design will remove all noise from your surroundings so that you can focus on your mixing. This is a crucial requirement for many DJs. The sound reproduction is great and it has an extended low end and is also able to produce crystal-clear highs. It’s also a comfortable pair to wear because the headband and earpads are very generously padded. The Sony MDR7506 is lightweight but it’s sturdy and the construction allows you to fold it for easy transportation. The only thing we found lacking in this model is that didn’t have as much sound depth as the earlier two models. However, it is priced significantly lower and this may be appealing to many people. The Marshall Monitor has a built-in microphone and also a remote so that you can answer calls while listening to music. Marshall is a newcomer to building headphones which explains why it didn’t produce a model quite as good as the more established brands. Beneath the ear cushions, you’ll find a removable attachment. When it’s inside, the bass is deeper and the overall sound is warmer. Remove the insert and you get a very crisp sound. While the customization is interesting and gives you some flexibility, the process of removing the insert is a little clumsy. The ear pads are a little thinner and not as generously padded as the earlier headphones. This may make them unsuitable for long hours of listening but the headphones are light. So that may not really matter. Overall, this is a reliable pair of headphones a beginner DJ may get. It depends on your taste. What matters is that it is reliable, comfortable and has good audio production. Coming in at number in the list of the top-5 best DJ headphones is a headphones model that the bass heads will truly love. The “bass reflex” in the Beyerdynamic DT 770 PRO is exceptional and these closed-back headphones really accentuate the overall bass. The headset is comfortable because the ear pads are very generously padded. They’ll cover your entire ear and immerse you into a wonderful world of sound. This plus point is also a negative because the design can seem bulky to many people. The enhanced bass also means that it is lacking in the highs because the highs were compromised. 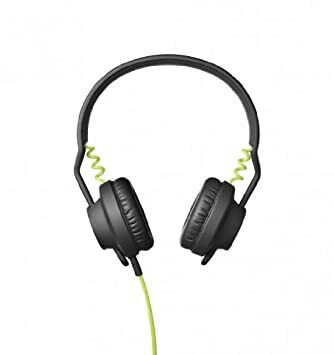 If you’re a DJ who spins music that is high in bass, these headphones were made for you.